Aerial view of Princeton-by-the-Sea on Half Moon Bay. Have you ever heard of a fly-in destination? I was recently introduced to an entirely new type of travel. Pilots with access to small planes also have access to numerous small airports which can’t be reached by commercial airlines. This opens up a whole world of daytrip destinations. One of these fly-in destinations is Princeton-by-the-Sea along Half Moon Bay in Northern California. This tiny coastal town has ocean views, seafood, and a single winery. If you don’t have an airplane, or a friend that has one, never fear. Princeton-by-the-Sea and its Half Moon Bay winery are also accessible by car a short drive from San Francisco and Silicon Valley. When we chose our fly-in destination we had no idea it would include a winery. We chose to fly in to Princeton-by-the-Sea for a seafood lunch and then fly over the Golden Gate Bridge. After hearing about the unprecedented number of whales and other sea mammals in Monterey Bay, we added a flyover of Monterey Bay to the trip. Mini fishtrap tempura from Barbara's Seafood Parlor. After a successful flight along the coast, where we saw a few whales spouting and showing their flukes, we landed at Half Moon Bay Airport and made the short walk into town for lunch. Not long after walking off the tarmac we saw a sign advertising wine tasting at Trojak-Knier Winery down the street to the right. We made a mental note and continued along Capistrano Road to Barbara’s Fishtrap, which has been serving seafood since 1971. Since we had our new aviator dogs with us we couldn’t eat at the restaurant, but we joined the long line for the walk up counter of Barbara’s Seafood Parlor. When you go, do yourself a favor and order the mini fishtrap tempura, a mix of prawns, scallops, fish, and calamari. Barbara’s secret recipe clam chowder is also something special. 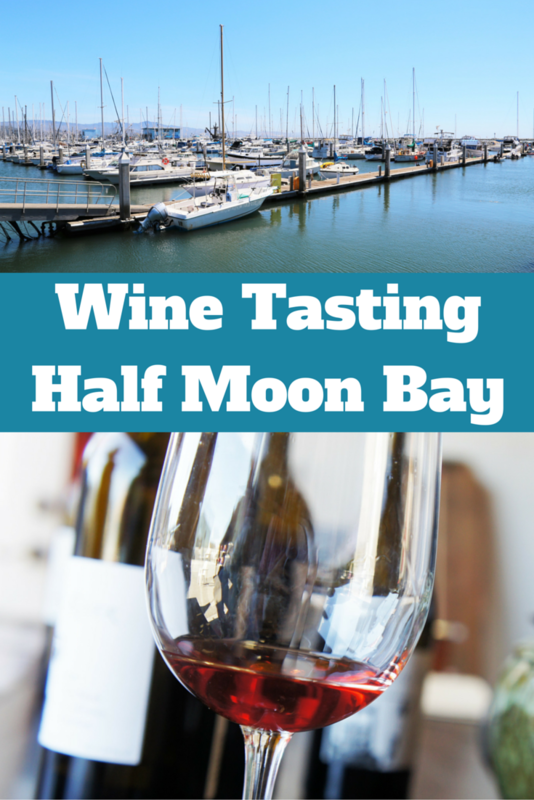 With our bellies full of fried seafood, we decided to find out what this Half Moon Bay winery was all about. We walked for almost a half a mile west on Harvard Avenue until we came upon Trojak-Knier Winery. The winery is in a small warehouse, but it feels more like you’re entering someone’s garage. One of the founders of Trojak-Knier Winery, Jim Knier, was sitting at the table pouring tastings. We walked in and waited for spots to open up at the table while we peeked around at the compact winery. Wine barrels lined the walls, wine boxes filled the rafters, bins of crushed grapes fermented out in the open, and an antique wooden canoe hung from the ceiling. Owners and winemakers Eric Trojak and Jim Knier started making wine together in Jim’s garage in 1993. After 10 years, they moved to the current space along Half Moon Bay. In 2009 they were licensed and bonded and created their first commercial vintage. 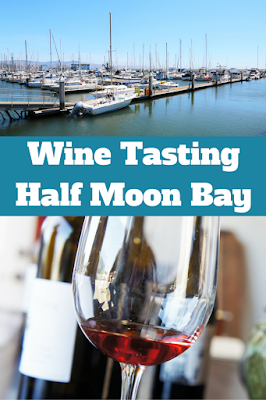 They are the only winery in Princeton-by-the-Bay and the only winery in the Half Moon Bay area that makes wine on site. The difficulty of having the only winery in a tiny town like Princeton-by-the-Sea is gaining access to high quality wine grapes. Trojak-Knier Winery doesn’t have its own vineyard, so it has to source its grapes from other vineyards. Most of their wines are made with grapes from the Antinori family estate, Antica in Napa Valley, except for their Zinfandel which comes from Teldeschi. During our visit, Trojak-Knier Winery had four red wines available for tasting. We started with the Pinot Noir made with grapes from Antica. Jim told us this was how Pinot was supposed to be. The Pinot was light in color with almost a tan tint. The wine is not filtered and is in fact messed with as little as possible. While Pinots are not my favorite, I enjoyed and appreciated this Pinot so much I almost bought a bottle. The second wine we tasted was the Sangiovese. The grapes are also from Antica but have a unique story. The Antinori family has been making wine for centuries and the vines for this wine were originally planted in 1385 in Tuscany. Some of these original vines were transplanted in Napa Valley in a tiny plot of land called the garden block from which Trojak-Knier Winery harvests grapes for their ruby red Sangiovese. The Sangiovese is blended with 2% Cabernet Sauvignon. The third wine we tasted was the Zinfandel, this time made with grapes from Teldeschi vineyards. The Zinfandel was also a clear ruby red and slightly acidic. The final wine was a Cabernet Sauvignon made with grapes from Antica. A previous vintage won awards and the winemakers believe this latest 2012 vintage will be just as good. It still tasted a little young and seemed like it would benefit from being stored for a few years. Whether you’re visiting Half Moon Bay as a fly-in destination or on a weekend road trip, head a few blocks off the main road and enjoy Princeton-by-the-Sea’s only winery.